Flying University: That Ain't a Black Film? This month, Racquel Gates joins us to ring in the new year with a presentation from her new book, Double Negative: The Black Image and Popular Culture. Gates argues for a broader definition of what makes something a "black" film, a contentious point during the production of the film, Coming to America. By breaking down the stylistic qualities and production of the film, she claims that the film is actually two movies in one - a result of the ideological and interpersonal tensions between director John Landis and star Eddie Murphy. Alex English joins us as our TA for the evening! He'll hilariously be covering the basics of black film. Make sure you pay attention - there may be a pop quiz! Flying University is a crash course in hidden histories - shining a light on ideas, people, science, and moments in history from a new perspective. It’s an interactive presentation series featuring storytellers, experts, professors, comedians, (and of course, drinking). 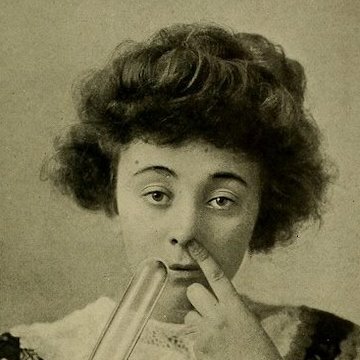 Our speakeasy-style lectures were conceived in the spirit of the underground university in Russian-occupied Poland by the same namesake, which taught subjects and students banned by the state-run schools. This historical rebel organization educated women and other marginalized groups who were barred from attending the official Polish universities. 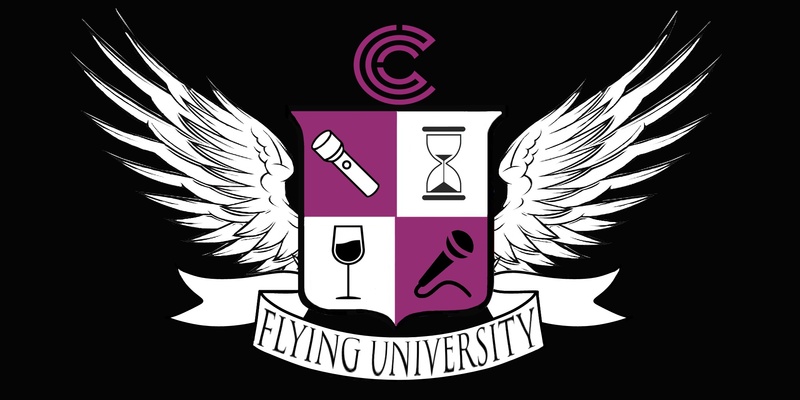 Caveat's Flying University carries on the mantle, sharing stories by and about communities whose stories are often untold. Hosted & produced by Chinisha S.
Racquel Gates is an Assistant Professor at the College of Staten Island, CUNY. Her research focuses on blackness and popular culture, with special attention to discourses of taste and quality. She is the author of Double Negative: The Black Image and Popular Culture (Duke, 2018) and has written numerous essays on film and media, some of which appear in The New York Times, Film Quarterly, Television & New Media, and The Los Angeles Review of Books. Alex English's honest, intelligent, vibrant, and hilarious performances have allowed him to open for such comedians as Roy Wood, Jr, Michelle Wolf, James Adomian, Ted Alexandro, Sasheer Zamata, and Sam Morril. He has also appeared numerous times in the New York Comedy Festival. Alex was most recently a Creative Consultant on Netflix's The Fix with Jimmy Carr, as well as a Staff Writer for BET's The Rundown with Robin Thede. English has made appearances on VICELAND’s Funny How? as well as Season 2 of Night Train with Wyatt Cenac on STARZ.